Статья руководителя отдела академического развития сети языковых школ Eurocentres Тима Гудиера о коммуникационных навыках 21 века. Что это такое, какие именно навыки нужны работодателям и как их развивать иностранному студенту – читайте ниже. Подается на английском языке, без перевода. 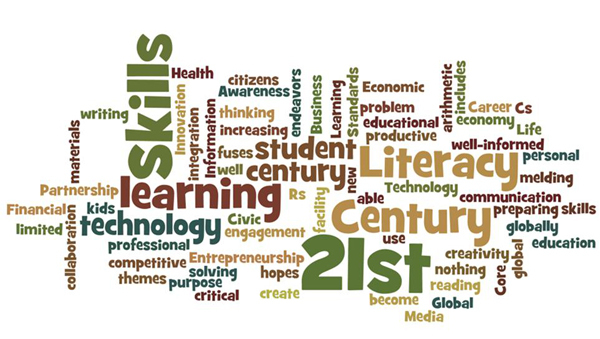 So what are 21st Century Communication Skills? We’re already a long way into the 21st century, and many people born in 2000 are now starting their university studies and adult life. So what’s new about 21st century communication skills and what exactly are they? In short, this idea captures what is radically changing about the way we interact and collaborate in an increasingly international, connected and automated world. Firstly there’s the explosion in online communications in the last two decades: life no longer fits neatly into separate episodes of speaking face to face, making prepared phone calls, writing letters, reading one whole text at a time, watching the same TV programmes together, or listening patiently to scheduled radio broadcasts and recorded messages. Instead we now flexibly integrate all these skills and more, when we juggle a constant mix of instant messaging, blogs, social media posts, podcasts, shared links, live video conferencing, collaborative online documents and access to unlimited multi-media in our pockets. More and more the way we communicate dissolves the boundaries of time and place, with larger groups of people participating and reacting together through online connections. This places greater importance on teamwork skills and intercultural understanding, with English as the most common medium of communication internationally. Secondly there’s the rise of automation and artificial intelligence (AI) in every area of our lives, including ‘smart’ households, intelligent guidance in online shopping and entertainment, driverless cars, automation in administrative tasks, manufacturing and even now in medical diagnosis. This is having a big impact on the world of work and the skills that the future workforce need to prepare for. Increasingly, ‘straightforward’ communication and decision making tasks are being taken over by automation and AI, and job applicants will be valued more for their ability to find new solutions for new challenges in team work, international collaboration, and creative problem solving. This means it is no longer enough be qualified and have accurate use of English — successful careers are increasingly based on working effectively with others, using ‘soft’ interaction skills to consider alternative viewpoints and to help solve things together. Simply put, 21st century communication skills are the strategies and techniques we use to collaborate face to face and online, taking into account the viewpoints and background knowledge of others, adjusting our message to help others understand, and encouraging participation to reach a shared goal. What are the benefits of training in these skills for English-medium studies? Students preparing for international higher education at English speaking universities should no longer picture themselves cramming alone in a library to get good results. The universities of tomorrow will operate as much online as in the physical world, and already students customise and fast track their studies with online components that combine lecturer tutoring with peer support and assessment and group work. Learning by doing is increasingly given more weight than just accumulating knowledge, and confident English language and ‘soft’ communication skills are the key for succeeding in this changing academic environment. What are the benefits of training in these skills for your career? According to Jeff Weiner, CEO of LinkedIn, a recent study revealed that the #1 Skills gap was in soft communication skills: “…if you’re displaced or the needs of your job or company have changed, you’re in much better position to find new jobs when you have foundational skills in place e.g. communication, collaboration & basic digital fluency”. This discussion is wide ranging across business sectors and the dearth of communicative teamwork skills is affecting industries all over the world struggling to recruit the right people. Employers no longer just seek qualifications, and according to a recent Financial Times survey ‘What employers want from MBA graduates — and what they don’t’, soft skills such as ability to collaborate were listed as important by well over 70% of employers. Graduates who can demonstrate their competence in these skills have a head start in finding the right career opportunities. How can you develop these skills and prove your ability? The more practice you can get working together with other speakers of English on collaborative tasks, while also exploiting and strengthening your knowledge of other languages and diverse cultural backgrounds, the better prepared you will be to shine in your international studies and career. Until now it has been difficult to break these ‘soft’ skills down into concrete learning outcomes, and link them to levels of language ability in courses and assessment. The good news is that recent research led by Eurocentres for the Council of Europe has produced educational tools to define in detail a wide range of skills at each level of language ability for areas such ‘online interaction’ and ‘mediation’, which are the essence of what we mean by ‘21st century communication skills’. Now it is possible to train in these skills step by step in classes and online, and state clearly what you can do in a certificate of English proficiency. Eurocentres leads the way in providing dynamic interactive courses in English and 21st century communication skills that prepare learners for the careers of tomorrow. Tim Goodier, Head of Academic Development at Eurocentres, has worked on ELT and IELTS preparation programmes for over 18 years as a teacher, project-manager, examiner, course-developer, writer, school inspector, and teacher-trainer. 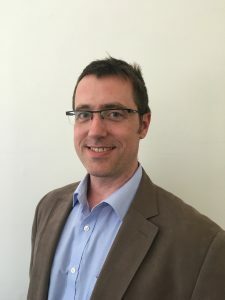 In his current role he has senior oversight of quality and innovation at Eurocentres, and has worked on numerous new developments such the launch of the ‘my.Eurocentres’ online learning platform in the UK and France, and specialised teacher training programmes for in-service teachers. Tim is also a member of the Eaquals board of trustees and contributes to projects related to the CEFR as a feature of Eurocentres’ consultancy to the Council of Europe.